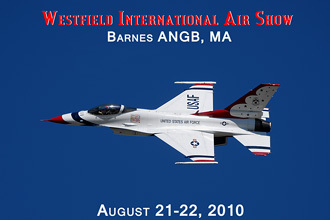 2010 was the first time an Air Show was held back in Westfield since the 2006 season. With the 104th FW changing roles from the A-10 Warthog to the F-15C Eagle and being the Alert Wing for the North East they took a few years off to step up into their new roll. Alert Hangers needed to be constructed and pilots and ground crew needed all new training. The local area has been waiting for years for this show to return and the crowds came out in full force. With no admission fee like the Boston-Portsmouth show the following week, the base filled up quickly. There was a 40 mile back up on the Mass Pike and the gates had to be closed by 2:30. Even with Sunday's rain, an estimated 200,000 people turned out for the weekend! We had for our Warbird aircraft a P-47,a P-51 flown by Dale Snodgrass, a F-4U Corsair flown by Dan McCue, a B-25 and a C-47. Something new this year was the flight of two aircraft new to the Air Show scene. A F-100F was flown by Dean Cutshall and a H-34 Demo. For our military demo's we had the F-16 West Coast Demo from Hill AFB, the F-18C Demo from NAS Oceana, a C-17 Demo from Altus AFB and the 104th Alert Scramble which actually consisted of 2 F-15s from the 104th FW, 2 F-16s from the 158th FW from Burlington Vt and 2 A-10s from the 110th FW at Battle Creek, MI. By the time the Thunderbirds took the field the clouds started to come in which made it tough for photography but gave me a chance to just sit back and enjoy the show without looking through a camera. Even when you know their sneak pass is coming there's no way it doesn't send chills down your spin. 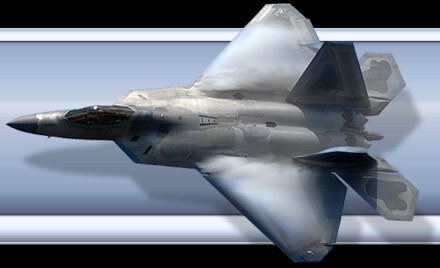 Just to hear the "sound of freedom" with all the power is simply awesome! I would like to thank the 104th FW and their Public Affairs Office for their hospitality on Friday and Sat.